Sources said that Afzal Ahmad went to Pakistan on September 8, 2001, by Delhi-Lahore bus through Joint Check Post at Attari on a one-month valid visa to meet Masrat Khureshi who he married over phone. CHANDIGARH: In what seems to be a real-life remake of the Bollywood film Veer-Zaara, a man from New Delhi fell in love with a Pakistani woman, crossed the border to be with her, and eventually got arrested. More than 17 years later, Afzal Ahmad, now 54, set foot on Indian soil again on Friday. Ahmad, who once was a salesman for a footwear company, fell in love with Masrat Khureshi and married her in 1997, by reading the ‘Nikah’ contract over the phone. Four years later, he got a one-month visa and hopped on a Delhi-Lahore bus to meet his wife. But by then, Khureshi was married to a man in the United Kingdom, and held a British-Pakistani dual citizenship, sources said.Ahmad, however, met her in Karachi, and stayed on in Pakistan even after his visa expired. He said Khureshi lived in Britain, but would often come to visit him for three-four months a year. This, sources said, continued till 2014, when she didn’t come over, but said she wouldn’t be able to meet him ever again.In September 2015, Ahmad was arrested and awarded four months in jail. 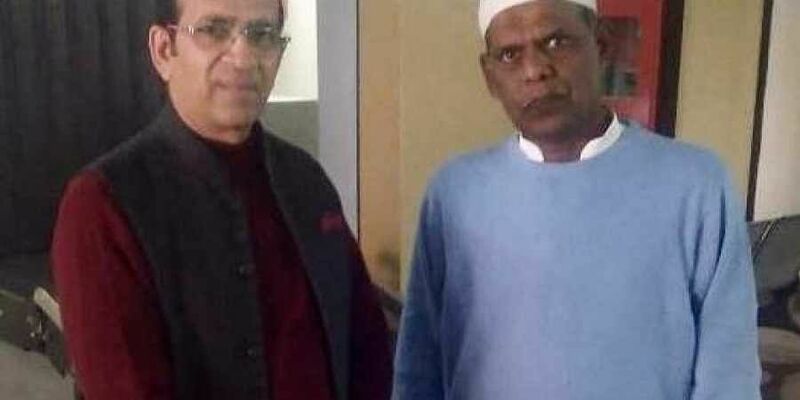 Though his term at the Kot Lakhpat jail in Lahore ended in 2016, he was not released, and was only handed back to India on Friday.Ahmad’s case is simliar to that of Hamid Ansari, who also crossed the border to meet his lover, but was arrested.